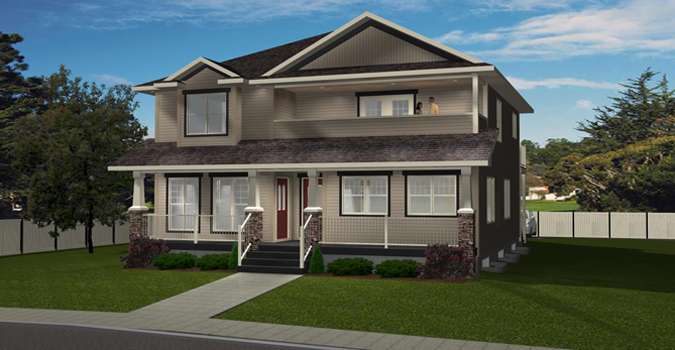 The Upper Floor of this 2-Storey has two bedrooms and includes a 3-piece ensuite off the master bedroom. 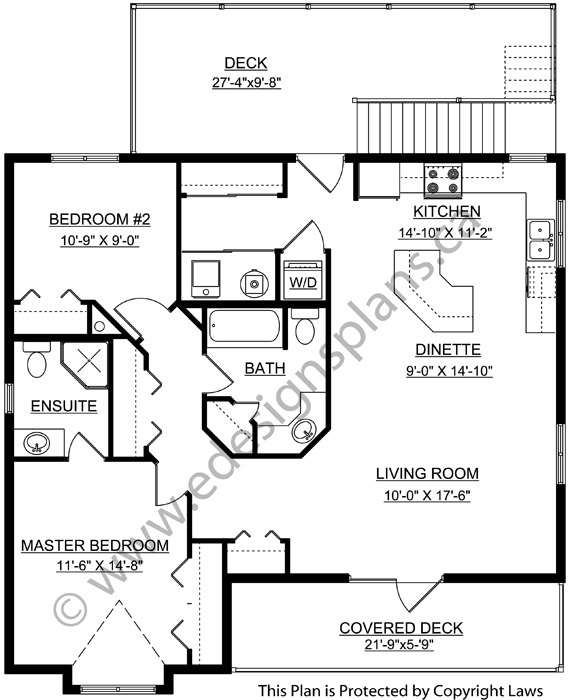 The living room is open to the L-shaped kitchen and dinette with bar-type island. Double french doors lead onto the covered front deck. The entrance is off the large rear deck. A stackable washer/dryer and the mechanical room are on this level. 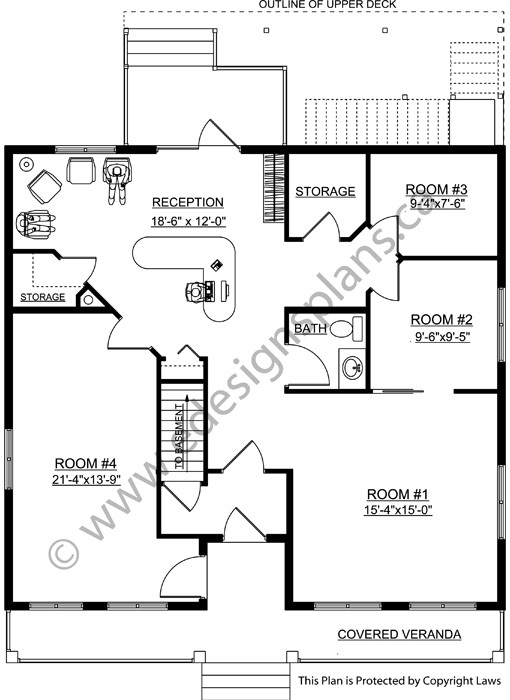 The Lower Floor can be designed to suit the purchaser. Note: This plan was originally drawn as a rental unit on the Upper Floor and retail space on the Lower Floor, but can be changed to accommodate a single family dwelling on the Main Floor. 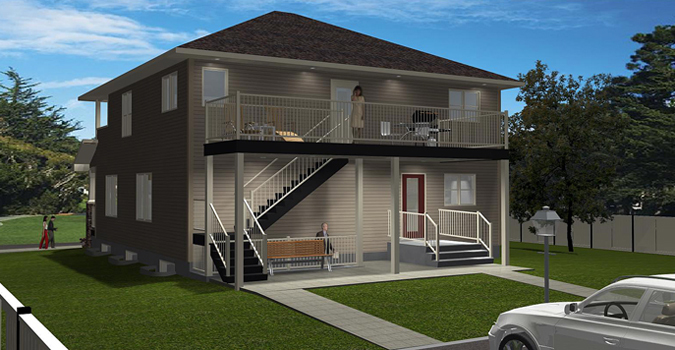 The basement level has a separate entrance in the rear and can be designed as an extra rental suite. Lots of options here.